Slovenia qualified to the Men´s U19 WFC Final Round 2013, which will be played in Hamburg, Germany, in May 2013. 16 teams will compete in two divisions in the Final Round, which will be held in Hamburg, Germany from the 7th-11th May 2013. 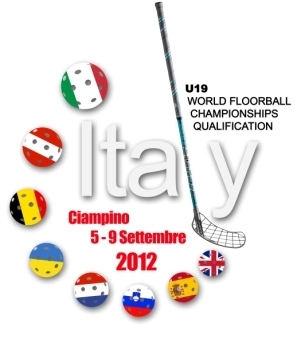 The 8 teams in A-division are already decided according to the results from the 2011 U19 WFC. In B-division 7 teams have already qualified based on results from the 2011 U19 WFC and the IFF regional qualifying quota system. This European qualification tournament will decide who qualifies for the last available spot in B-Division. The 7 teams in this tournament have been put into two groups. Every team will play once against each of the teams in their own group. After the group matches the two top teams in each group will play semi-finals and the winners of these matches will play in the final. All the remaining teams will play for placings (3rd-8th). The winner of the final match will qualify to the final round of the WFC in B-division.